Bad things happen to good companies. And issues come in all sort of sizes. The potential risks in modern-day business are greater, more dynamic, and less predictable than ever before. And yet, the greatest exposure does not lie within these risks. Rather, it lies in having a team that is not prepared to anticipate, foresee, or respond to a rising threat, and its impact on your reputation, revenue, and relationships in real-time. Issue management is a part of every business -- whether it’s a customer complaint, an operational mishap, or worse. The lens through which your team chooses to see a negative event directly impacts the actions they take in response to that event, which also directly impacts the result that that event will have on your brand. What is the lens through which your team currently views less-than-ideal situations? How is it impacting your brand’s reputation over time? How does the culture of your business dictate, empower, and reward the mindset of driving those actions? Can you amplify these efforts in a way that continuously strengthens the trust and credibility associated with your brand? 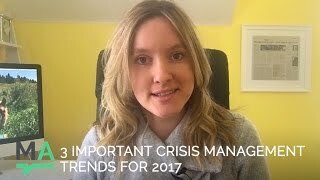 As a crisis management advisor, Melissa helped to successfully manage several, real-world viral issues. When you pop a champagne cork, the bubbles of carbon dioxide form at tiny defects in the glass, join together, and explode upward when enough pressure builds. Crises usually start small the same way – and explode when the pressure builds to the breaking point. 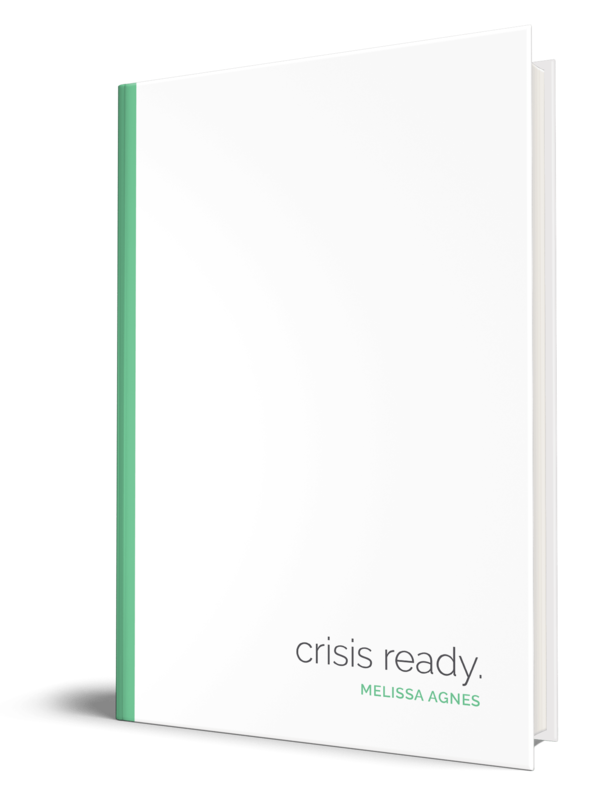 President and Co-Founder of Agnes + Day Inc., Melissa Agnes has helped dozens of global brands and government agencies deal with crises before that explosion, preventing and managing a wide range of issues before they become catastrophic. Her client list includes financial organizations, technology companies, healthcare organizations, government agencies, cities and municipalities, energy companies, global non-profits, and many others. She is the author of the long-awaited book Crisis Ready: Building An Invincible Brand In An Uncertain World. An effervescent personality herself, Melissa is a sought-after international crisis management keynote speaker. She travels the world speaking to organizations and audiences including NATO, Ministries of Foreign Affairs, Ministries of Foreign Defense, Ministries of Health, as well as a wide range of private and public companies, universities and non-profit organizations. She has had the honor of sharing the stage with members of the Ukraine government and the International Committee of the Red Cross. A go-to source for the press, Melissa's recent press coverage includes Forbes, WSJ, VIBE Magazine, USA Today and more. 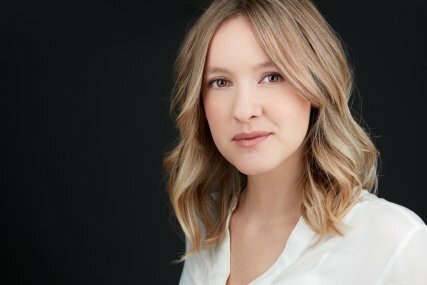 Melissa is also a regular guest on the leading morning radio talk show, CJAD, where she is referred to as "the official crisis manager of the Tommy Schnurmacher show". Melissa sits on the Board of Directors for the Online Reputation and Brand Protection Coalition, a non-profit organization dedicated to providing businesses with education, solutions, and advocacy to help them protect their reputations and brand online. She is also the editor of the highly acclaimed crisis intelligence blog, and the host of the internationally recognized #CrisisReady Podcast. Published regularly and followed by government agencies and Fortune companies alike, her blog, videos and podcast provide insights to help organizations manage issues and crises in this modern era. 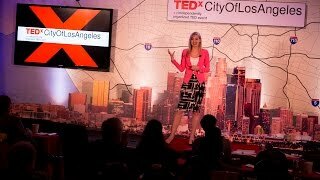 “Melissa's keynote presentation was an excellent start to a quite successful event. Thanks for the superb kickoff." "We brought together our legal, PR, communications, digital and staff engagement teams for nearly two days. Melissa guided our topics in such an engaging way driving us to tap what we already knew and to discover what was lacking in our current process and guidelines. This training session brought us together in such an effective way that not one person regretted the commitment we made to learn. Thank you, Melissa, for bringing a complex topic to us in a way that encouraged debate, hands-on experience and helped us make decisions." "Melissa was well prepared, great on her feet, thoughtfully challenging, superbly engaging and displayed a depth of knowledge that gave her high credibility. Additionally, she made the session stimulating and fun. Her thought-provoking presentation style spurred exceptional dialogue between the participants that attended our global crisis communications network meeting. Her insight and knowledge of the digital landscape opened our eyes to alternative communications approaches when dealing with a crisis." "Melissa proved to be highly effective in helping Domtar modernize its crisis management plan in the age of social media. While the fundamentals of good crisis management remain the same, Melissa helped us internalize how social media accelerates the speed and scope of how information is shared and public impressions are formed. As a result, we are better prepared to leverage the benefits of social media in a crisis situation, while avoiding mistakes and minimizing risks. Melissa accomplished this with a critical review of our procedures and plans, a customized exercise that engaged our entire team, and a thoughtful assessment of areas for continued improvement." "We took Melissa’s visit to South Korea as an opportunity to discuss crisis communication with embassies with which we have close contact in Seoul. Crisis communication is of utmost importance in our environment, as tension between South and North Korea fluctuates on a weekly basis. Melissa was able to lead the discussion on various crisis communication strategies where she provided the benefits and the disadvantages of each. She introduced many of the diplomates to various new communication tools and strategies that could be implemented when communicating with our citizens in South Korea. Her command of the subject, as well as her presentation skills were phenomenal, and each embassy representative commented on the high value she brought to the discussion. Her presentation was a catalyst which enabled discussion on the creation and application of common communication strategies in crisis situations, by embassies in Seoul." "Melissa Agnes accepted my invitation to present a webinar for the Public Relations Institute of Australia. 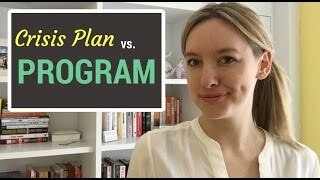 Melissa was great: easy to work with; organized; passionate about her material – “Absolutely brilliant webinar, really useful and practical,” commented one attendee; and generous with her time and resources, freely inviting the audience to download her proprietary Issues Management Response Flow Chart. Not only, but the 12:00 noon webinar in Sydney meant that Melissa started her broadcast at 9:00pm in Montreal, with a terrible cough which she worked hard to suppress. A true professional!" "Melissa is energetic, insightful and fun! I loved her session. It was one of the best of the CPRS National Summit this year. And all the sessions were tremendous, so this is high praise, well deserved."